Though the hacking itself seems serious but the last part of the message "So Listen to rihanna and be cool :P" seems a little out of touch with the overall message which is to say to Google and people of the world in general that Israel on the world map is essential Palestine. 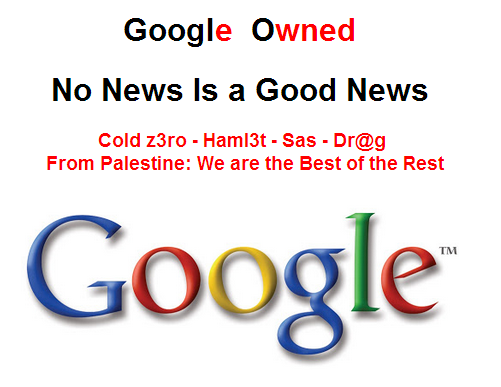 At the time of writing this article the site google.ps was still under the control of the hacktivists. A special thanks to Abhishek Kumar Jha of Techworm.in for bringing this to my and worlds notice.